This week, it was my turn to submit a tutorial for the Nail It! section of QiuQiu‘s QWeekly, and I decided to do a denim effect! **Any dark blue, medium blue and light blue nail polishes will do! I also used a glitter polish for the ring finger as an accent nail. 1. After applying base coat, paint your nails with a dark blue polish. 3. Lightly tap it all over the nail for some texture. 4. Using the sponge, pick up a bit of a light blue polish. 5. You know how denim jeans get creases at the knee area and pocket area, right? We’re trying to create that effect here, so just tap the light blue polish to create some fuzzy lines across the nails. For the thumb, tap in the shape of a pocket. 6. Pour some white acrylic paint into a palette and pick up some paint with a nail art brush. 7. Outline the pocket on the thumb with dashed lines. 8. 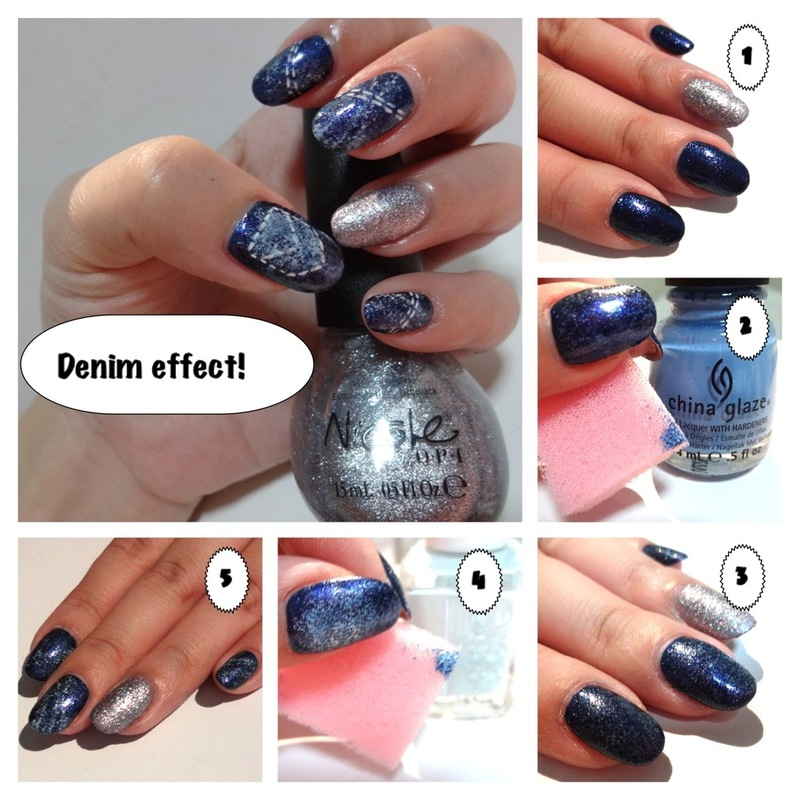 Draw two rows of dashes across the other denim nails. This will look like the stitches on denim jeans. You can do them in different directions for different nails for a more interesting look. 9. Apply a quick dry top coat and you’re done! If you have been following QiuQiu’s blog, you may have heard of the weekly e-magazine that she’s working on and being launched every Sunday over at Qweekly! 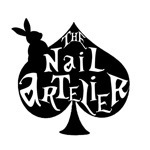 There is a section inside named Nail it, and a group of us were invited to contribute to it, giving you tips and tricks for simple DIY nail art you can attempt at home! So, my tutorial was being featured yesterday, and I’ll share with you over here as well! You can basically do this manicure in any color combination you want – as for me, I chose a summer-y palette. Here’s how you get the look! 1. Start with your favorite base coat, then paint it with something light and wait till they dry completely. Here, I used Orly’s French White. 2. Fill your nail polish remover cap with nail polish remover. Place a dot of each color on the palette. 3. 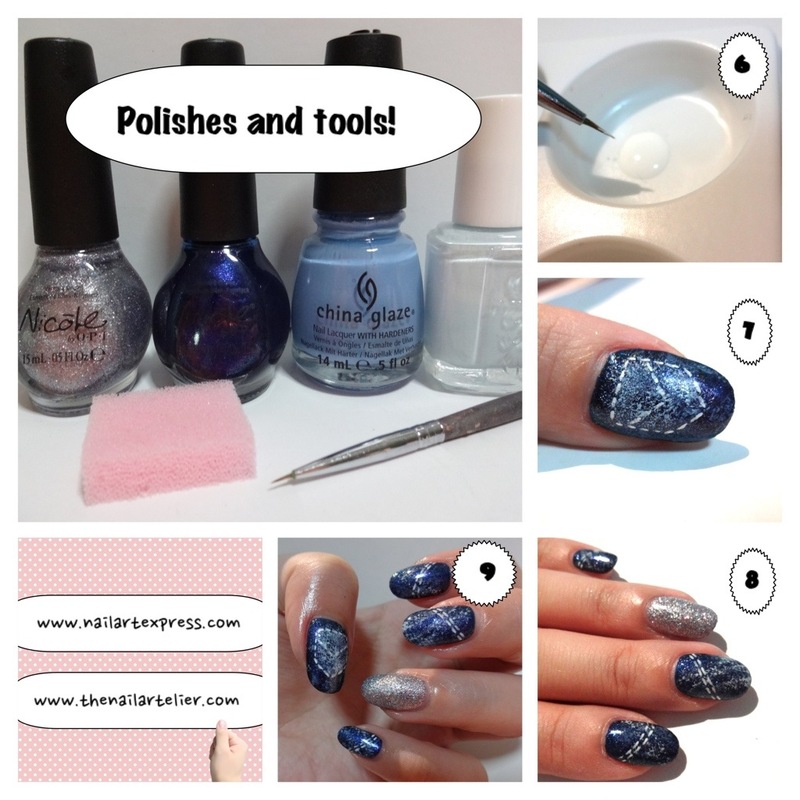 Dip your small paint brush in the nail polish remover and dilute the polish drops. 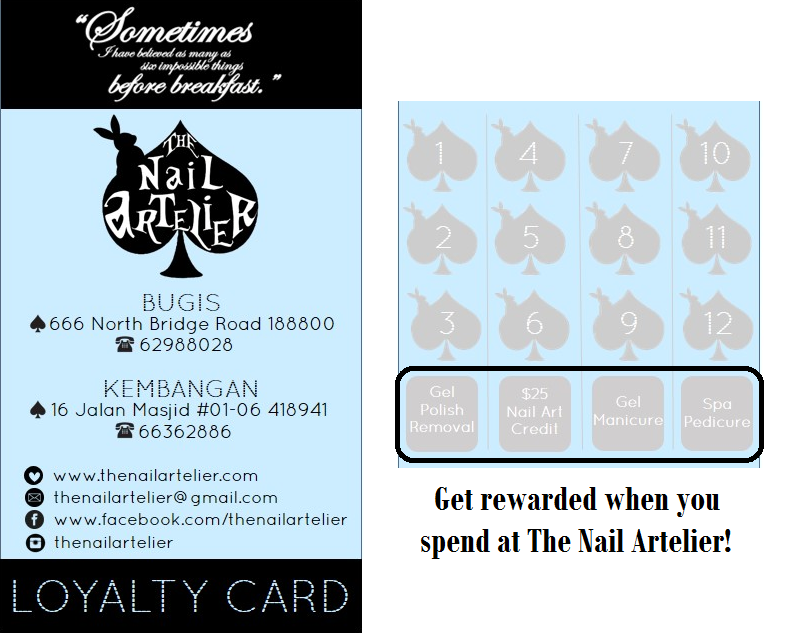 You probably need at least 5 drops of polish remover in the nail polish before it starts to look thin. 4. With a dabbing motion, create abstract dots on each nail, leaving room for the other colors. 5. Remember to clean the paint brush before diluting the other colors! 6. Apply the other colors- I used OPI Need Sunglasses (yellow), OPI Strawberry Margarita (pink), and OPI Ogre-the-top Blue (blue). Create as many shapes as you want, overlap them if you want! There’s no need to stress about “neatness”, the messier, the better! 7. 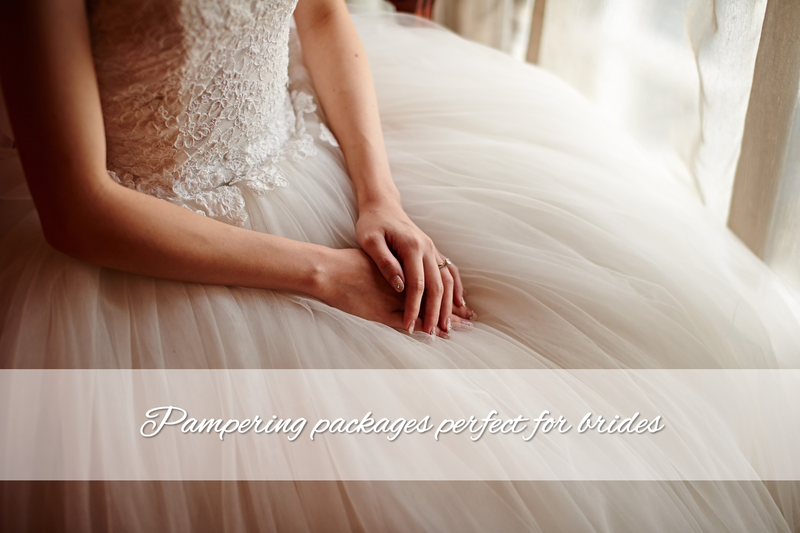 Take a drop of white polish and dilute it, just like the others. 8. 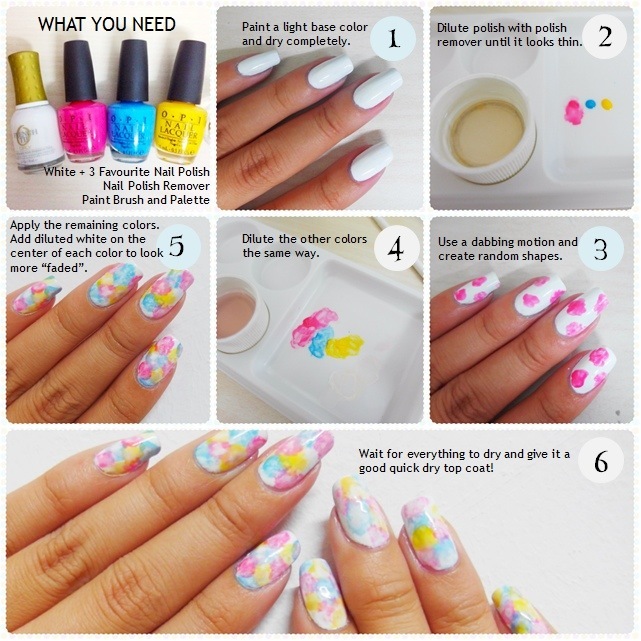 Apply a thin drop of white on the center of each color on your nails. Make sure to dilute it enough such that it spread over the color when you out the drop down – this gives them a more faded look. 9. Wait for everything to dry, and give it a good quick dry top coat! My favorite is Seche Vite. I hope you’ll find this tutorial useful, and do share with us if you attempt this! Till the next!